District Superintendent, Rev. 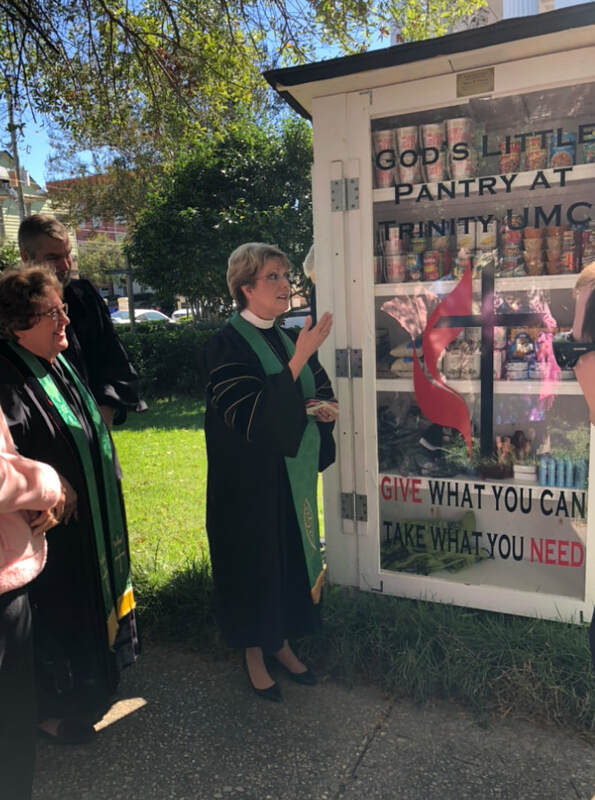 Dr. Sandra Stevens Poirel, leads the blessing and dedication of the Blessing Box and God's Little Pantry on October 21, 2018. Trident United Methodist church enjoys working with Downtown school children. Thanks to the volunteers who helped put labels on the 1,500+ children's books collected.